Skincare fans, get excited! Vain Pursuits- you remember them, the natural skincare custom-blended for your unique skin's needs people? It comes with your name on the jar, people? Reviewed here? Okay, now that you remember them, the news. 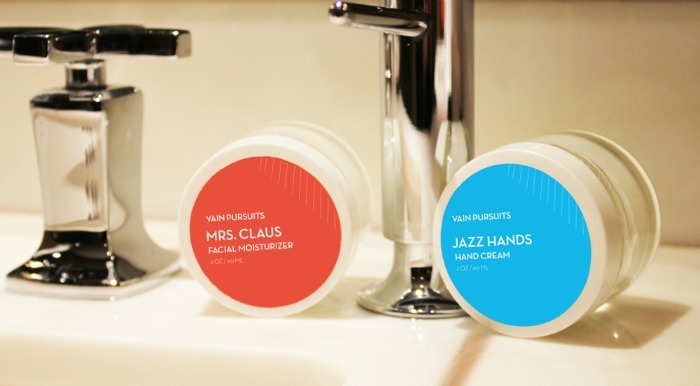 They're offering up free personalized hand cream with every gift purchase, starting today. Pretty awesome right?! Have anyone on your list who could use a little skincare upgrade?